Greetings from Melbourne. I’m back in Australia for my annual visit which involves visiting family and sorting through a years worth of mail that still gets sent to me. Melbourne is such a great city and I can see how I lived here for so long. Every time I return though I feel less like a resident and more like a visitor. Friends have moved to the outer suburbs which become time consuming places to visit without a car, and my old stomping ground of St. Kilda feels like a completely different place to me. These days I feel more at home in Saigon or Bangkok than I do here. These annual visits are like an annual assessment of my nomadic expat life. I often get asked if I will live like this forever. I can’t answer that as life is too long for such assertions. What I can say is that for another year I have found that I am still happy to be living in Southeast Asia. February was a relatively busy month for me, having visited five countries: Vietnam, Malaysia, Sri Lanka, Singapore, and Australia. After leaving Saigon at the start of February I went to Malaysia where I spent a week in Penang – a place I visit often. Then from KL I flew to Sri Lanka for two weeks. It was my first time to Sri Lanka, and probably not my last. While it isn’t a digital nomad haven (yet) it is a great place to go for a beach break. Sri Lanka is my first new country for 2015, and one that has been on my “to visit” list for a few years now. 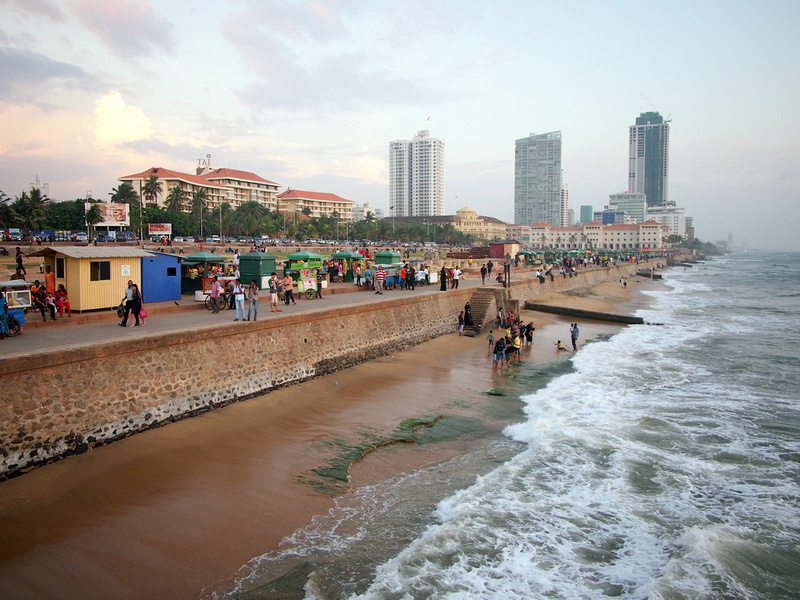 I arrived in Colombo from Kuala Lumpur in the afternoon, which gave me enough time to drop my bags off at my apartment rental and then wander down to Galle Face Green for sunset. Galle Face Green is a massive stretch of green (and in many parts “brown” as the grass has worn off) near the historic Fort area. It faces the sea and at sunset people come down here to walk along the waterfront. It was the perfect way to end a travel day after hours of sitting in buses, planes, and taxis. Some guides I have read about Colombo describe it at “chaotic” and “bustling” but I thought it was just your average city in Asia when it comes to traffic chaos. Maybe I’ve been in Vietnam too long, or perhaps the guide writers need to see more cities in Asia (like India). Certainly the description of Sri Lanka as being like a chilled out India seems to be an apt description. Like many cricket-loving kids from the Commonwealth countries, I know most of Sri Lanka’s major cities from their cricket grounds. I happened to be here while the Cricket World Cup is on, which was taking place in Australia. I had plenty of young guys asking me where I’m from and being pleased that I am from Australia. Yay, Cricket! On my first day there I already felt like I was doing a massive injustice to the city of Colombo by only spending one day and two nights here (sorry, Colombo!) It seems like a place I could easily spend a week in and explore the neighbourhoods. I had two weeks in Sri Lanka so I was travelling at a faster pace than usual, with travels in the highlands and southern beaches. Even before coming here I knew I would need more than two weeks, but I am glad to have finally become acquainted with Sri Lanka. From Sri Lanka it was back to Singapore. Rather than sleeping at the airport on the way to Australia I had a stopover for a couple of days. In Singapore I crossed paths with Dan from tropicalmba.com. I first met Dan in Singapore on a visa run three years ago, and we’ve crossed paths several times since in Bangkok, Saigon, and Bali. Somehow I’ve been able to meet up with him and other nomadic friends more than friends living in Melbourne. I have a relatively short visit to Melbourne of just under two weeks. Next time I will only spend a week here and perhaps visit another place in Australia for a week – see some more of my homeland. 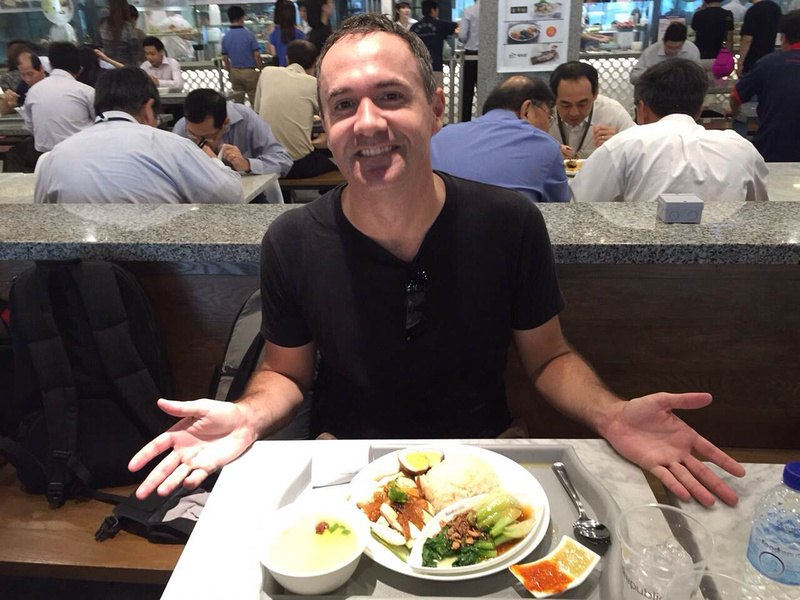 I’m flying back to Bangkok next week where I will spend a week or so. I’m in the middle of planning my next trip so more will be revealed. Melbourne was my home for three years! I too have thought more lately about exploring more of my own backyard. There’s just something exotic about lands faraway though! Yes, the exotic lands faraway keeps me overseas as well! it’s true we seem to cross paths all the time and i’m always grateful for it. see ya soon and safe travels! Sounds like you’ve had the adventure of a month. It’s funny when you’ve been away from your city that you feel more like a visitor. I feel the same when I go visit. 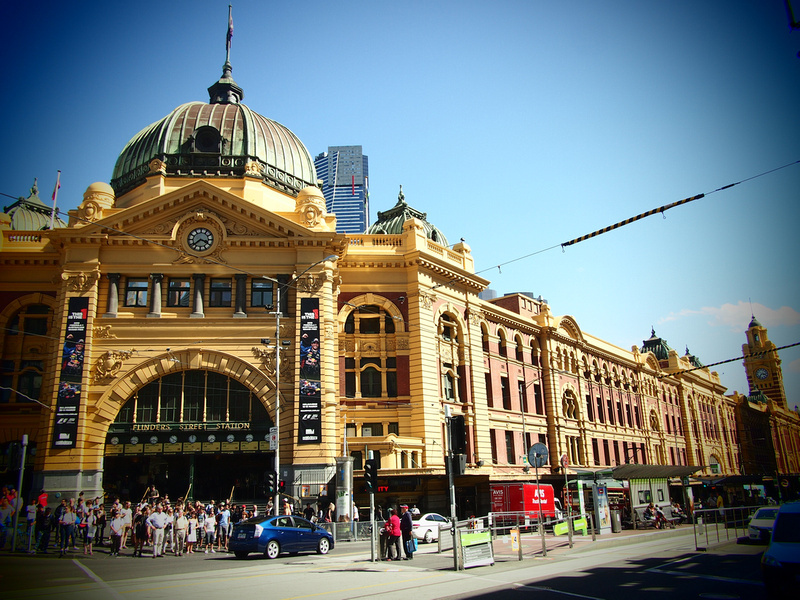 Melbourne is such a world class city … can’t wait to see it again later this year! I just can’t seem to skip a day without reading your blog . Everything in it just fascinates me, specially that you are able to send the message across very well. Thanks again James!